Wherever you find 30,000 adults in attendance, you know there will also be children. 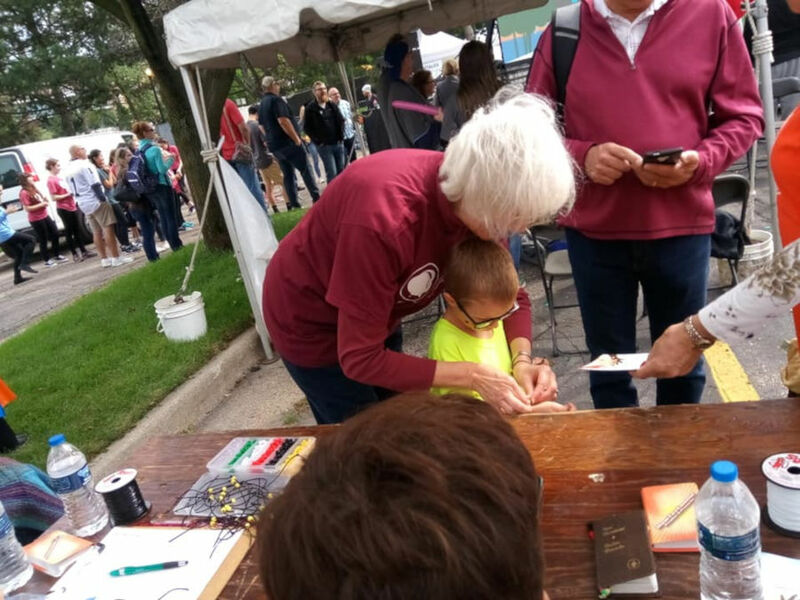 CEF chapters in Michigan had the amazing opportunity of coming alongside the Luis Palau Association for CityFest West Michigan held in Grand Rapids. Trained CEF volunteers from all over the state shared the Gospel with the children using the Wordless Book colors while face-painting or making Gospel bracelets. In six hours, they told the message of salvation through Christ to 1,110 children and adults! One of those individuals was a young woman from China who recently moved to the area. She wondered over to the Family Fun Zone where all the children’s events took place, made a Wordless Book bracelet and wanted to know more. It was through counseling and sharing God’s Word that she understood for the first time the saving grace of Christ and prayed to receive HIM as her Savior! CityFest with Luis and Andrew Palau is a region-wide evangelistic campaign focused on serving the region and proclaiming the Good News. It came about as a result of years of prayer and planning by hundreds of leaders from the faith, business, and civic communities in Grand Rapids and the surrounding area. Their vision is to see the Christian community come together in greater unity, service, and proclamation and show the community-at-large the joy, peace, love, and grace of Jesus Christ.